The Taj Mahal stands serene and perfect in its garden of cypresses and reflecting pools on the banks of the River Yamuna. Its pure white marble shimmers silvery white in the moonlight, glows softly pink at dawn, and at close of day reflects the fiery tints of the setting sun. 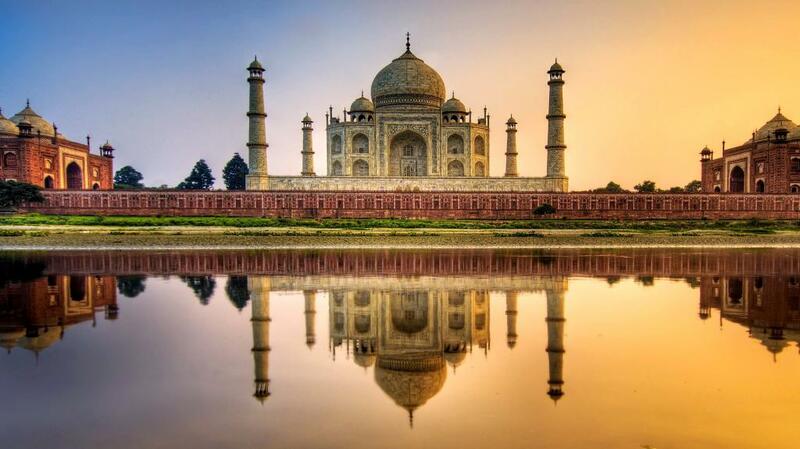 The Taj in all its timeless beauty is still the inspiration of poets and painters, writers and photographers. And lovers still meet here in the moonlight in the shadow of the world's most famous monument to love. 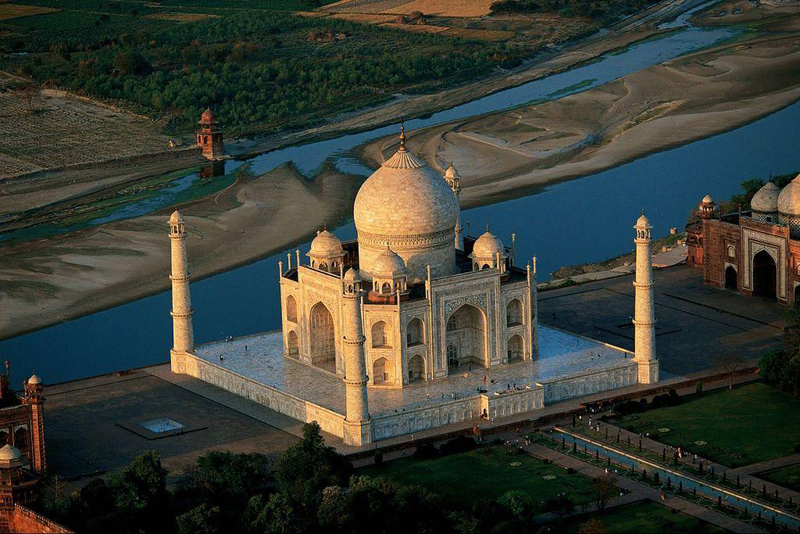 Shahjehan built the Taj in memory of Mumtaz Mahal who died giving birth to their 14th child. No cost was spared to make it the most beautiful monument the world had ever seen. White marble and red sandstone, silver and gold, carnelian and jasper, moonstone and jade, lapis lazuli and coral were fashioned by 20,000 skilled workers to make the emperor's dream a reality. It took 22 years to complete - a symbol of eternal love where Shahjehan too lies buried, re-united at last with his beloved Mumtaz. 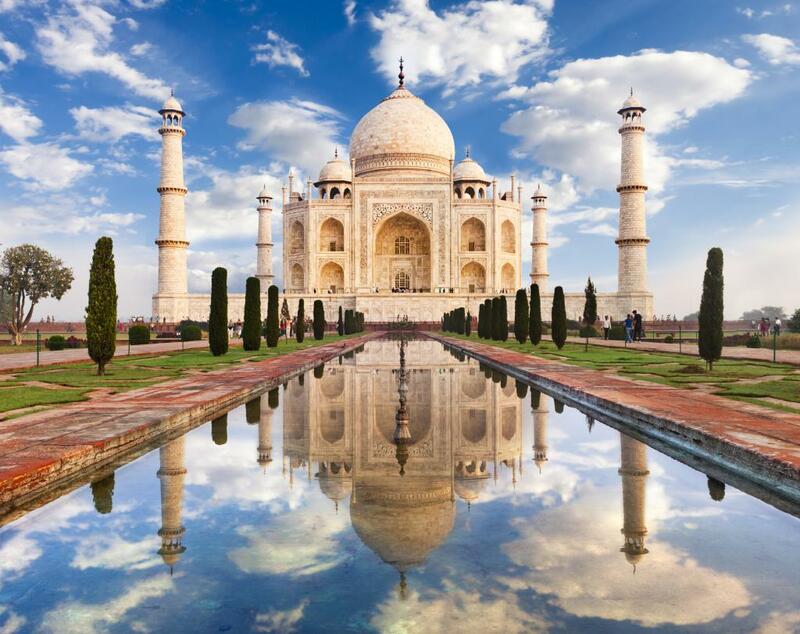 Set at the north end of a formal Persian garden with water courses, paved walkways and rows of dark cypresses, the Taj rises on a high red sandstone base topped by a huge white marble terrace, its flawless double dome flanked by four tapering minarets. Within lies the jewel-inlaid cenotaph of the queen, and a little to one side - the only asymmetrical feature in the Taj - the richly decorated casket of the emperor. Both are enclosed by an octagonal screen of finely pierced marble. 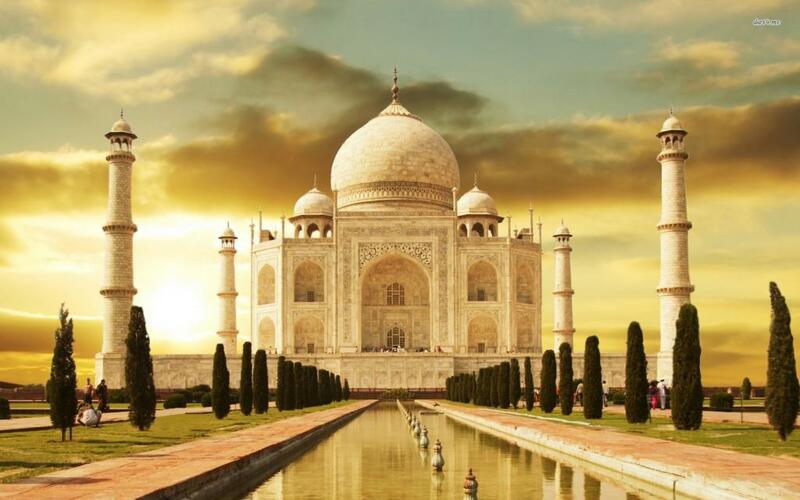 So perfect are the proportions of the Taj, so exquisite its workmanship, that it has been described as having been designed by giants and finished by jewellers.